I have not written as much as I should lately – life has interrupted rather forcefully. But glad to be back. 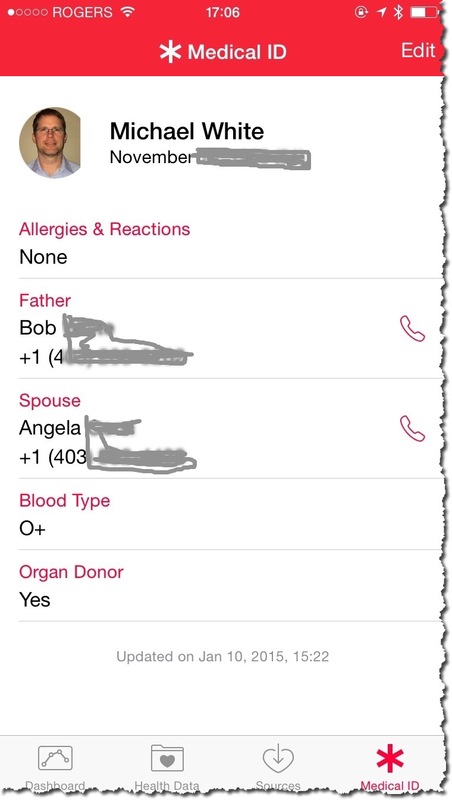 I had a long weekend in the mountains this past weekend and while chatting with several iOS (iPhone) users I realized none of them new about Medical ID. This was a new part of the OS I think just before 8.4. It provides first responders with some basic medical Info without your thumbprint or password. The basic info is like your emergency contact, allergies, and blood type. So good info for a paramedic or emergency room nurse! 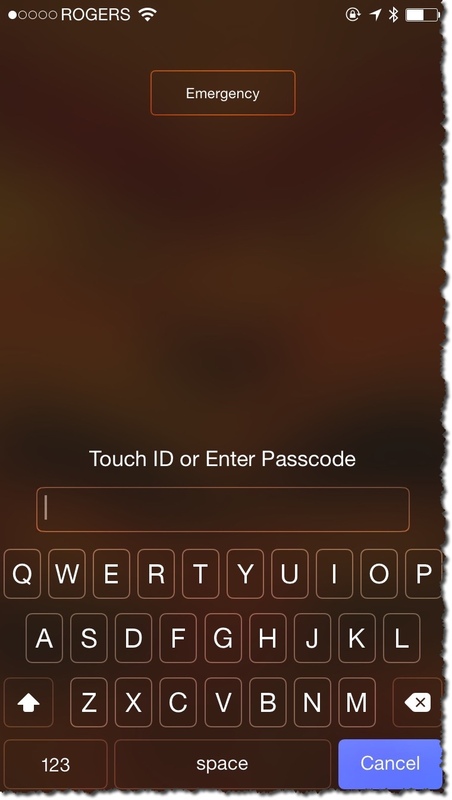 Here is what mine looks like – but remember this is without bypassing the lock screen. This is something I think every iOS user should fill in and it just might save your life! You start in the Health app. 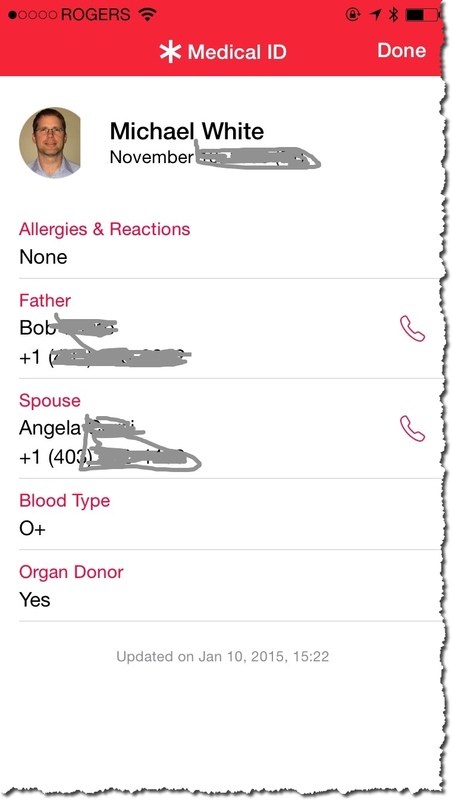 You can see at the bottom of your phone the Medical ID on the bottom right corner. Once you select it, it will be red. As seen below. Use the Edit button and add your info. Make sure the Show When Locked is enabled as the idea is to allow a first responder access to this info without logging in. To see if this worked we need to start on your locked screen. Don’t log in, but rather hit the Emergency button. 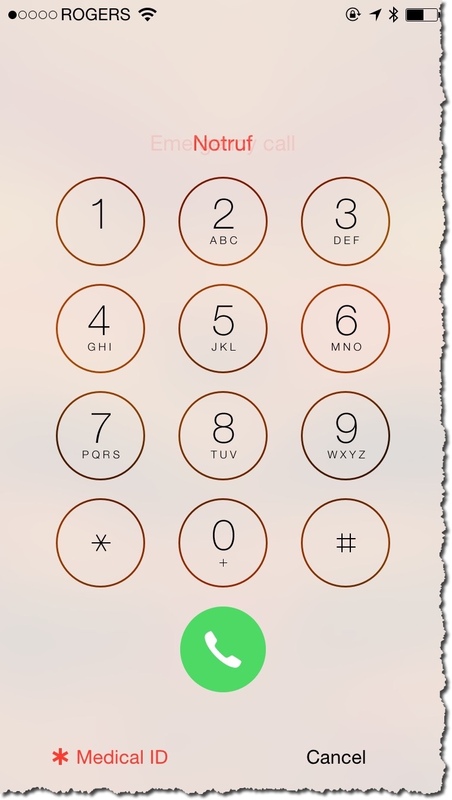 Now you can dial 911, or you can select Medical ID. If you hit Medical ID you will see a screen similar to mine below. So you are done – and it works. This is simple to do and forget about. Yet it might really help you when you are in trouble. And yes, I know there is a privacy issue here. And yes I did cover my wife and Dad’s phone numbers. But I think that I will likely not need this info so I am willing to risk putting it into the phone. If I need the info I will likely need it bad. So I can manage the risk and the fact is that it is not huge. Yes, I know that not all nurses and paramedics have an iOS device so they may not all know about this feature. But they might and I think the odds are good too in many parts of the world they will know about this. So yes, worth doing this I think. Update: 8/12/15 – Thanks to my good friend Kim – I should have said that this is iPhone only. Previous Post DataGravity Shirts still available – reminder of Webinar!